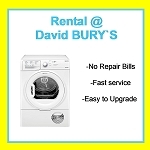 Tumble Dryer RENTAL - NO REPAIR BILLS, LOW PAYMENTS & EASY UPGRADES! 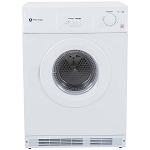 Home >TUMBLE DRYERS > Tumble Dryer RENTAL - NO REPAIR BILLS, LOW PAYMENTS & EASY UPGRADES! 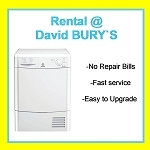 Fed up with paying costly tumble dryer repair bills? If you're fed up with costly repair bills and waiting several days for an engineer visit then our tumble dryer rental service may be the ideal answer. We all rely on our washers and dryers so it's good to know if something goes wrong you don't have to waste time searching around for someone to fix your machine for you, or comparing repair quotes. If your rental tumble dryer develops a fault all you need to do is call us and we will arrange a free of charge engineer visit, to either repair or replace the dryer, at a time that suits you. If you report a fault before 9.30am we aim to be with you the same day. Please Note: Our Rental applications and agreements cannot be completed online, if you would like to rent an item from us please call us or come into store. See the 'how to apply' tab above for full details. First months rental (unless product is part of first month rental free offer) and £24.95 delivery and admin fee payable in advance. Quality refurbished products minimum period of rental 12 months. Brand new products minimum period of rental 17 months. Subject to status, written details available on request. Terms and conditions apply. Actual product may vary from illustration, dependent on availability. How do I apply to rent an item? We just need to complete an application form with you, it only takes a few minutes and can be done over the phone or in store. If your application is started over the phone you will need to call into store to complete the application and sign your rental agreement before your item is delivered. Please bring a form of ID with you-a photo-card driving license or a passport is ideal, if you do not have these then please bring a bank statement or utility bill in your name from the last 3 months. It can be helpful if you can bring some proof of address with you like a driving license, tenancy agreement or utility bill and your bank details if you wish to pay by standing order. If you are renting a TV or other high value item from us we may need to see a copy of your household contents insurance. If we require any other information we will let you know once the application has been completed. When do I need to pay my first payment? Your initial payment which includes the first months rental for the item and the delivery and admin charge can be paid when you sign your agreement in store or at any time before, or on, delivery of your item. What payment methods do you offer for monthly rental payments? We offer a choice of payment methods including standing order from your bank, or you can pay by cash or debit card in store and we accept debit card payments over the the phone for rental payments. We can answer any other questions you have, please just ask. If you would like to apply to rent an item or have any questions all you need to do is either call into store or give us a call. 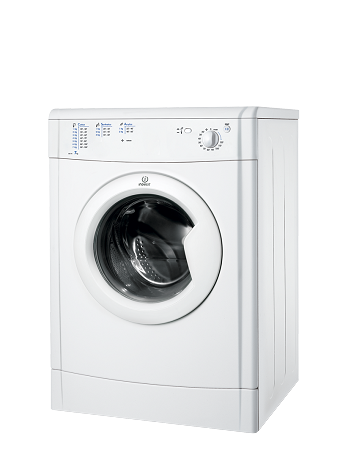 White Knight 39AW Compact 3KG Tumble Dryer.